RawVoice launches Channel for the Tech Podcast Network on SamSung Smart TV's and Blu-Ray Players. We are excited to be on Samsung Smart TV and Blu-ray platform,” said Todd Cochrane, CEO of RawVoice. The Samsung App is just another extension to our arsenal of media distribution channels. RawVoice, the pioneer in digital media production, hosting and dissemination, is proud to announce the addition of their Samsung Smart TV application for TVs and Blu-ray Players. The TechPodcast Network (TPN) App allows content creators to reach connected audiences that will watch and listen to the networks shows in their offices, dens, living rooms, bedrooms, and anywhere else they watch television. Audiences can manage their playlists through the apps MyCast service, whether they have a TPN user account or not. Subscribing to a show is as easy as pressing the subscribe button. -Navigate the menu system with ease using our MyCast feature to find new content while using TV remote control or while alternately managing your playlist in front of a computer. -Check out “Editors Picks” for a new selection of great shows each week on the tech topics you care about, ranging from tech news, gaming, platform news, etc. -Find high quality child-safe shows. All shows featured on the Samsung App have qualified their shows through their account manager at TechPodcasts.com. With the Samsung Smart TV Channel, TPN provides our members the ability to access new markets that reach a worldwide audience of all demographics. RawVoice advertisers now have another channel to reach the exclusive audiences that watch the networks content. Media companies looking to launch their own Samsung Smart TV app should contact RawVoice to develop and deploy their branded Internet-connected TV channel. RawVoice has deployed channel apps on a variety of devices including Roku, Boxee, Google TV, etc. 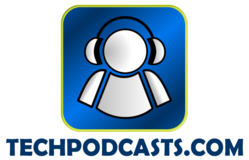 Tech Podcast Network is a community supported website dedicated to the promotion of technology by using the Internet. These initiatives include streaming, podcasting, and new technology delivery mechanisms. The content producers actively support the broader technology community with a wide variety of content related to technology subjects. TPN is part of the RawVoice digital media community that also includes Blubrry, Pro Med and TravelCast networks. The RawVoice digital media community has led the way in fulfilling digital media distribution needs since 2004, enabling content creators to publish audio and video or blog content channels and manage users. To find out more call 1.877.729.8642.